A much more uncommon species than the Chestnut, although it has been recorded throughout the county. 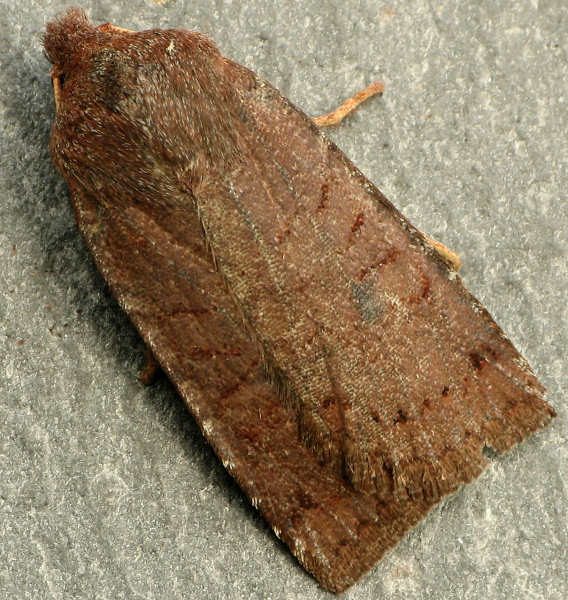 This species will almost certainly often be overlooked amongst the various forms of Chestnut in the trap. Woodland and more open areas. Sallows, birch, hawthorn, blackthorn, docks and dandelion. Overwinters as an adult, mating takes place during this time. Larva April-June, feeding at night. Pupates in a loose earthen cocoon underground.